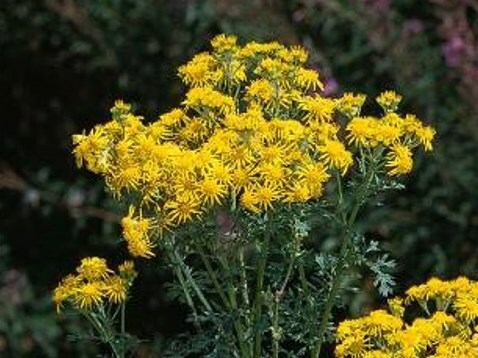 Senecio jacobaea (tansy ragwort) is a noxious biennial, perennial, or winter annual forb/herb (family Asteraceae) found in northern California, along disturbed places, roadsides, and waste sites. This plant is poisonous if consumed by forage animals. Bees foraging on tansy ragwort produce bitter honey that is tainted with alkaloids.